There are a lot of things to do at Walt Disney World but we would not often classify those things as cheap. However, believe it or not there are some things you can do on a budget! Here is my list of top ten things you can do for under twenty bucks at WDW. 1. Pony Rides! You can bring your little cowpoke over to Fort Wilderness where they can partake in a pony ride for five bucks. Not bad! While you are there you can also check out the stables that house the hard working horses of Main Street USA and play a game of checkers on the porch of Pioneer Hall. 2. Mini Golf. Walt Disney World has two fantastic mini golf courses; Winter Summerland and Fantasia Gardens. Adults will play for under $13 bucks and kids will play for just over 10. Your second round will be half price. If you have purchased a vacation package this will include two free rounds of golf. 3. Chip and Dales Campfire Sing-a-long. This fun activity happens every evening at Fort Wilderness and is totally free! You can purchase marshmallows for roasting if you would like, but this is not required. This is a really great family activity for a night off from the parks or before you head out for those late night extra magic hours! 4. Carnival Games at Disney’s Boardwalk. You can try your hand at classic games of luck and chance on Disney’s Boardwalk for just a few bucks. Grab a funnel cake and watch the street performers while you are there! 5. Bike Rentals are available at many resorts and you can rent them for pretty cheap. An hour will cost you $9 but an entire day is only $18! This is a really fun way to see the resorts from a different point of view. Check out my article on chipandco.com for more info on this! 6. Pressed Pennies are a great souvenir and are really inexpensive. For fifty one cents you can have a penny pressed with various imprints. Pressed penny stations are found pretty much everywhere. The resorts have them and they are scattered throughout the parks. Part of the fun is checking out the different design options and choosing which ones you will turn your pennies into! 7. Go fishing at Port Orleans Riverside or Fort Wilderness. A family can get up to six poles for one half hour for only $14 bucks. That’s not too shabby. The fishing is catch and release only. 8. Catch a movie. Most of the resorts offer FREE outdoor movies each night. Ask the cast member at check in for a listing of times and what movies are playing. This is a great way to spend an evening! 9. Boat rentals are only $7 a half an hour for non motorized boats such as canoes and kayaks. You can find rentals at many different resorts. 10. Resort hop! A great way to start a resort exploration is along the monorail. Maybe you could even sample a snack at each resort (or at least one of them!) Using the Monorail you can visit The Grand Floridian, The Polynesian, and the Contemporary. 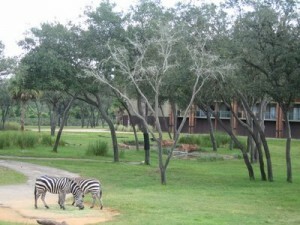 Another great resort to visit is Animal Kingdom Lodge where you can observe the animals that call the lodge home. This entry was posted in Top Five and tagged Animal Kingdom, bikes, boats, mini golf, movies, pressed pennies. Bookmark the permalink. Harmony barbershop is a fun place for kids, ours got pixie/pirate dust in their hair for $5 each. Sorcerers of the Magic Kingdom is free and fun too!! Plus Epcot has Perry’s secret agent game which is fun for every age! !